Homemade lemon curd goes way beyond taste compared to a store-bought version. Measure out the freshly-squeezed lemon juice. Add any additional lemon juice, if necessary, to make 1/3 cup. In a medium heat-safe mixing bowl that will fit over saucepan (or top of double boiler), whisk together lemon juice and cornstarch. Whisk in the sugar, lemon zest and egg yolks. Bring 2 inches of water to a simmer in a saucepan or bottom of double boiler. Place the bowl on top. 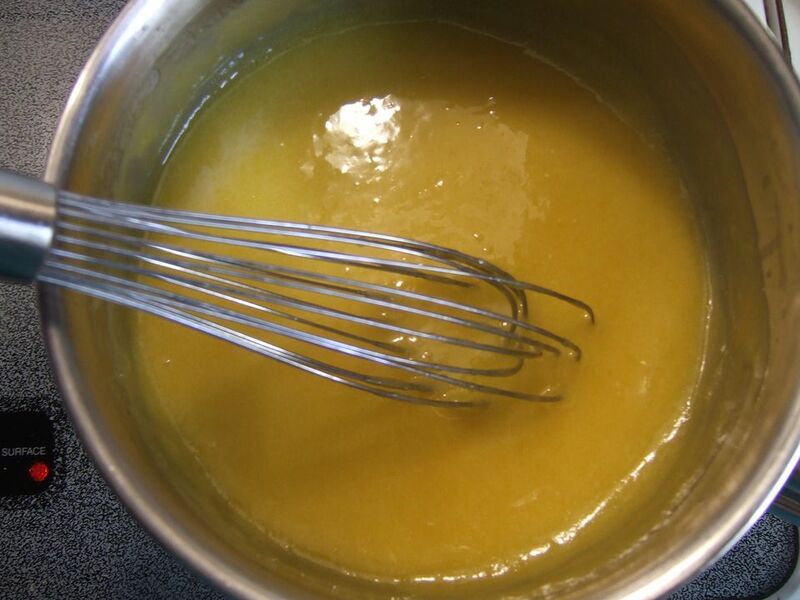 For 10 to 20 minutes, whisk the egg mixture until thick enough to coat back of spoon. Whisk in the butter a few pieces at a time until each piece is completely melted. Scrape the lemon curd into a non-metallic bowl. Cover the top of curd with plastic wrap, lightly pressing until it completely covers the surface. Place in the refrigerator for cooling. Once cool, the lemon curd should be kept in an airtight container in the refrigerator for 4 weeks or frozen for up to 1 year.